Vancouver-based dance artist Lola MacLaughlin died on March 6, 2009 of cancer. The well-loved choreographer was known for her generosity of spirit and meticulous attention to choreographic details by the dancers with whom she worked. MacLaughlin was born in Oliver, British Columbia, and grew up studying dance, while also involving herself in music and drama at school. Her initial post-secondary studies were in psychology and biology but she ultimately graduated from Simon Fraser University (SFU) with a BA in dance. The interdisciplinary nature of the School for the Contemporary Arts at SFU was an important influence on her work as was the German Expressionist dance form ausdruckstanz and her studies in Berlin at the Freie Universitat. In 1982, MacLaughlin co-founded the Vancouver collective EDAM (Experimental Dance and Music) with Peter Bingham, Barbara Bourget, Ahmed Hassan, Jay Hirabayashi, Jennifer Mascall and Peter Ryan. Here, she began to present her first professional works. She left EDAM in 1989 to found her own company, Lola Dance. Among her notable group works are Four Solos/Four Cities (1999), Volio (2002) and Provincial Essays (2007). 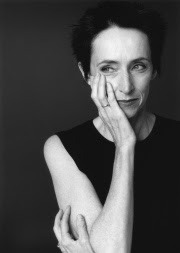 Cultural critic Max Wyman described MacLaughlin’s work in a press release, “Fresh and honest and clever, her work explored the possibilities of expressive movement in original, sometimes startling and often witty ways.” During her career, MacLaughlin received the Clifford E. Lee Award, Jacqueline Lemieux Prize and an Isadora Award. A memorial event was held on April 6th at the Scotiabank Dance Centre and a legacy fund to support emerging choreographers is being planned.